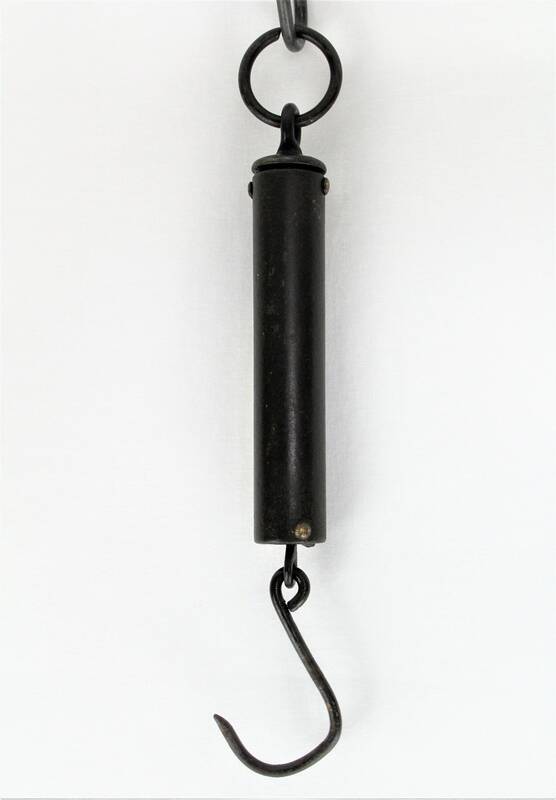 We have for sale an Antique Cast Iron Tubular Hanging Spring Scale 24 lbs. 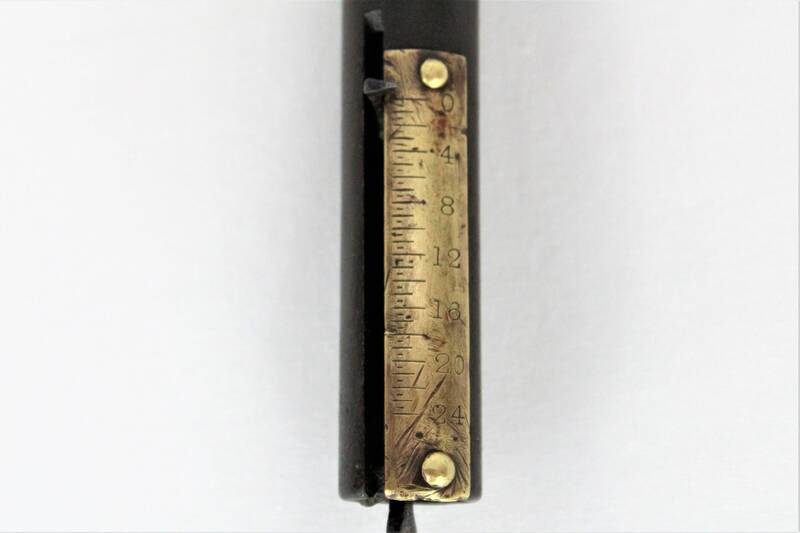 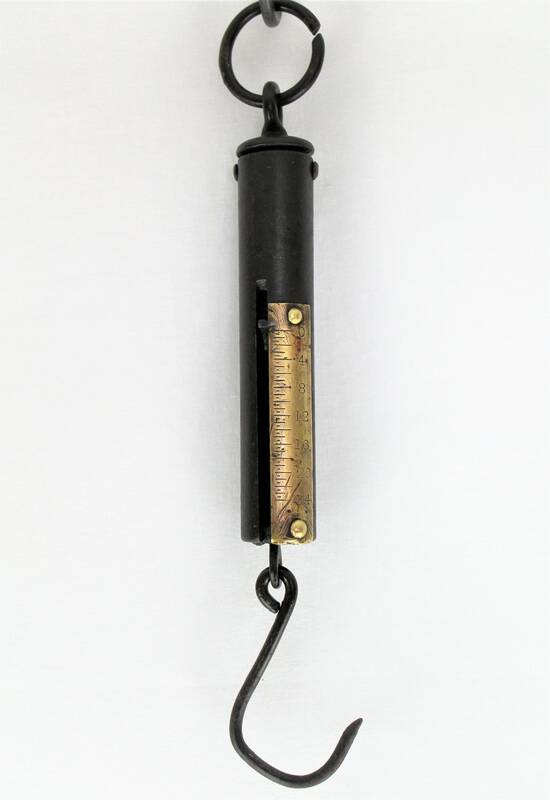 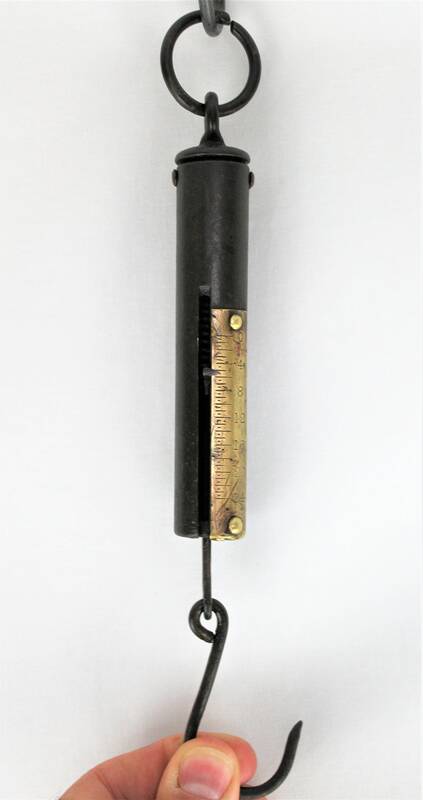 Wonderful late 1800s cast iron hanging scale with brass 24-pound gauge. 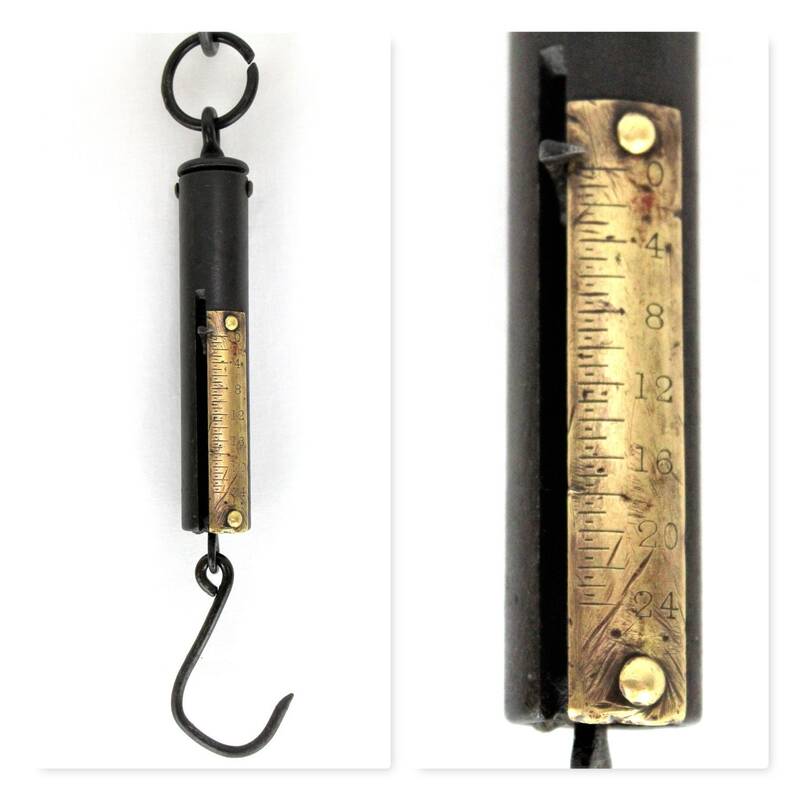 The frame is cast iron and the spring and hooks are steel works remarkable well for its age.